For an orangery and an extension of the same size, the orangery will, generally, cost you considerably less per square metre. The size, however, isn’t the only factor that will affect the price of either structure; the style and the chosen features are directly linked to the cost too. You can pay over a longer period of time for either option by opting to pay on finance. Although, not every company offers this facility. Planning permission for an orangery is not usually required because they are classed as a permitted development right. However, this is subject to limitations, otherwise planning permission will need to be sought out. Traditional extensions, on the other hand, are very rarely considered permitted development. For these reasons, whenever building one, it virtually always pays to send off a planning application first. What similarities are there between them? There are actually a number of similarities between the two, hence why the two are often mistaken for one another. Both provide you with additional living space to use as you please, whether that’s for a new kitchen, living room, or different type of room. Either structure will bolster the value of your home. Both consist of brickwork, although orangeries tend to have less of it. The brickwork in use also tends to be matched to the existing property. They both feature versatile designs. For example, the windows and doors that are fitted upon them are at the customer’s discretion. Ultimately, this comes down to your own personal preferences. 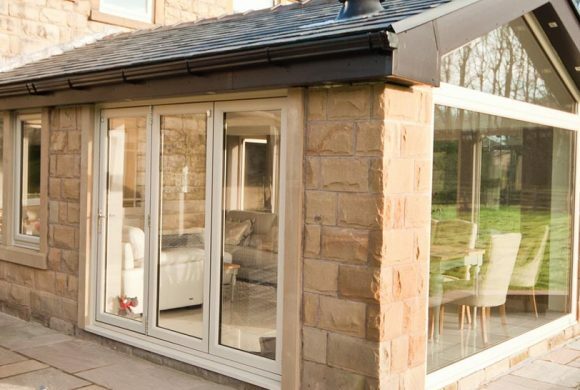 However, it’s important to point out that, despite their structural differences, orangeries and extensions can essentially be used for the same purposes. Thanks to advances in thermal technology, either will feel comfortable to be inside all year round too. An orangery will also be fitted with either a full lantern roof or individual roof lanterns. This means they possess a stylish focal point, plus they will always be well-lit. An extension, on the other hand, will require designing in a way that sympathetic to light, otherwise they can easily feel dark and dingy. Associated Windows are a leading installer of glazed extensions, based in Bristol. 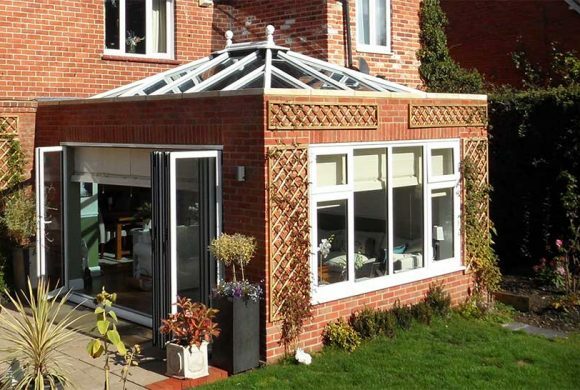 If you’d like an orangery, conservatory or another glazed extension for your home, please call us on 0117 9311777 or contact us online.